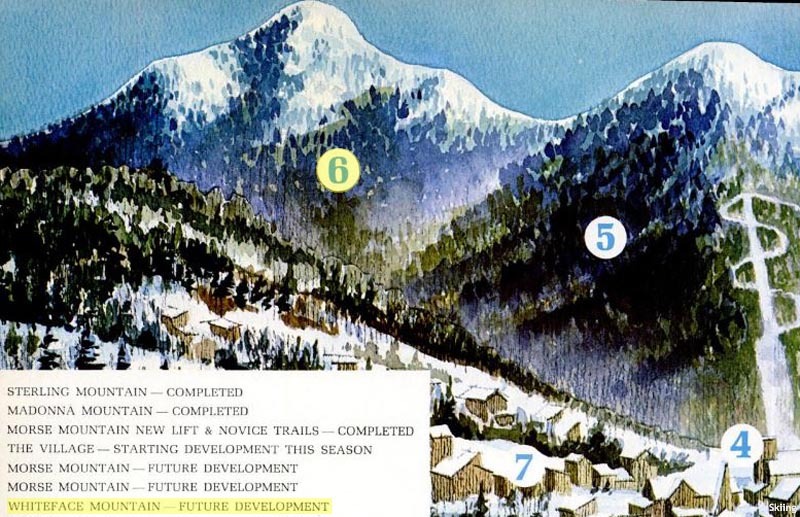 As early as 1956-57, plans to expand the then-surface-lift-only Smugglers' Notch ski area north to Sterling Mountain (not to be confused with the present day so-called Sterling complex on Spruce Peak) were publicized. 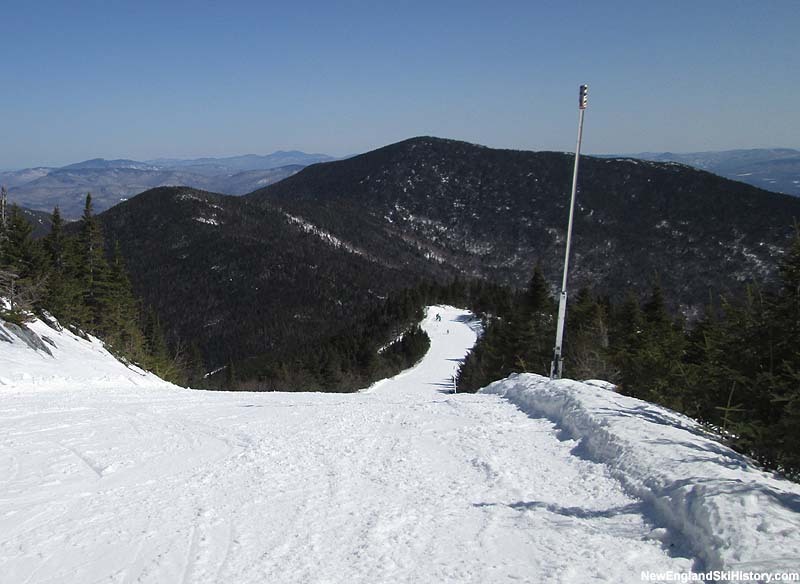 Known by the ski area planners as "Whiteface Mountain," the peak is nearly the same height as present crown jewel Madonna Peak at just over 3,600 feet. Ten years later, the ten year plan was announced again, this time under the ownership of Tom Watson. 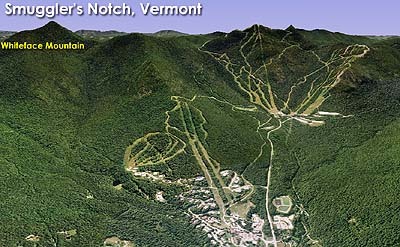 Whiteface was still considered part of the proposed expansion, which called for a total of fourteen additional new chairlifts for the resort. 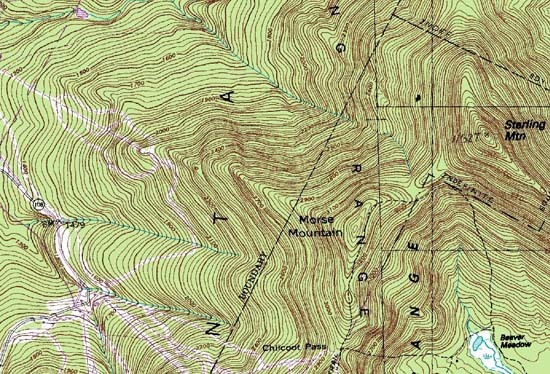 A January 1968 advertisement claimed Whiteface Mountain and the remaining portion of Morse Mountain "are an important part of our immediate future, totaling five more chairlifts and countless trails." It is thought the expansion was quietly cancelled after the sale of the ski area in the 1970s.